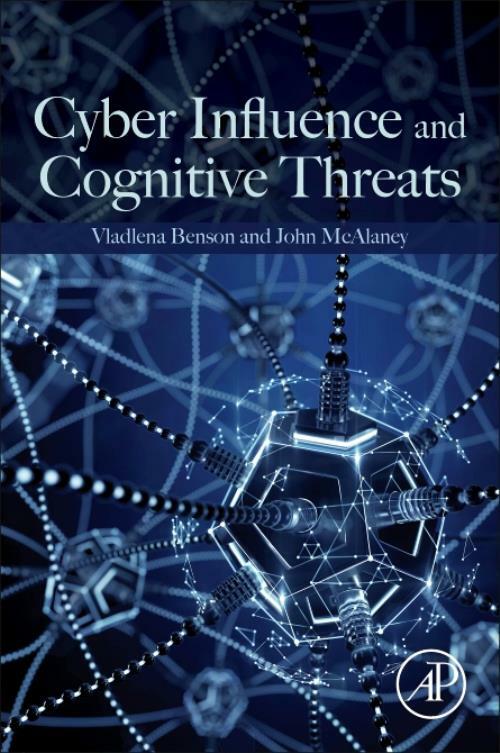 Cyber Influence and Cognitive Threats addresses the emerging challenges in cybersecurity, examining cognitive applications in decision-making, behavior and basic human interaction. The book examines the role of psychology by addressing each factor involved in the process: hackers, targets, cybersecurity practitioners, and the wider social context in which these groups operate. Readers will find interesting and useful sections on information systems, psychology, sociology, human resources, leadership, strategy, innovation, law, finance, and more. ISACA LC and Professor of Cybersecurity at the University of West London. She is a specialist in technology governance, risk and compliance (GRC) and a Government Communications Headquarters (GCHQ)-certified Cyber Security Risk Management Frameworks practitioner. She is currently working with UK businesses on privacy and cyber security initiatives, such as the forthcoming General Data Protection Regulation (GDPR) and privacy compliance. Prof Benson's research areas cover: information privacy; cyber victimisation; gender and culture differences in online behaviour; digital rights and the cyber vulnerability of young people. Her work also relates to religious orientation, digital behaviour and privacy on social media. She is a strong advocate for increasing diversity in the cyber security work force, and actively endeavours to bring more female talent into the digital economy. As part of her research, she currently runs a number of projects to help target the digital skills crisis - developing tools for opening up cyberspace entrepreneurship opportunities from an early age. As a result of her work in this area, Prof Benson was recognised at the Women in IT Awards 2017 for helping the development of career opportunities for women in cyber security.